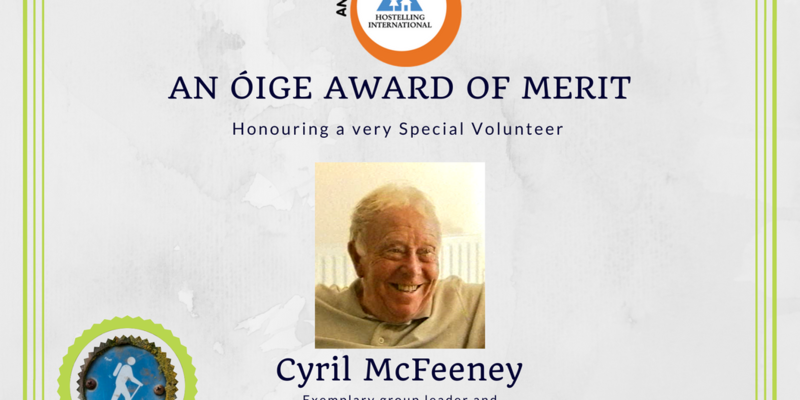 Cyril McFeeney was the first recipient of a Volunteer Award last week in An Óige. Amazingly, we have never done them before. In the old days hostelers had a duty they had to perform in order to stay in a hostel. There was an expectation that a stay in a hostel involved helping to keep the place going so that more young people could explore the outdoors. Voluntary work in An Óige was something that was viewed as reward enough for the volunteer. That view does not stop us from recognising the work that volunteers do. Volunteers in An Óige today mostly help us through leading hikes into the Irish countryside and organising activity clubs. Chairperson Darragh Miller first met Cyril on a Gaisce walk when he was only 15. It was his first time staying in a hostel and Cyril was their guide on the walk across the hills to Knockree Youth Hostel. Apart from the fun they had Darragh was amazed by why Cyril was doing it as he did not get paid for it. As he did his best to keep up with this youthful elder he was impressed by Cyril’s passion for introducing young people to the pleasures of hiking in the Irish countryside. 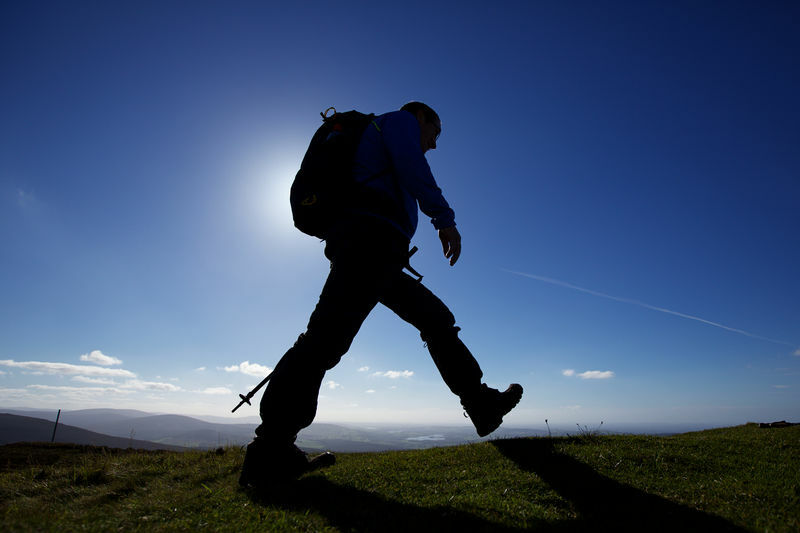 Years later Darragh met Cyril again at a board meeting and he was still displaying the same passion for the countryside and leading Gaisce walks to and from hostels. The organisation followed Cyril’s suggestions and started to create a partnership with Gaisce which will bear fruit this month with the official launch of An Óige as the Adventure Challenge Partner for Gaisce. 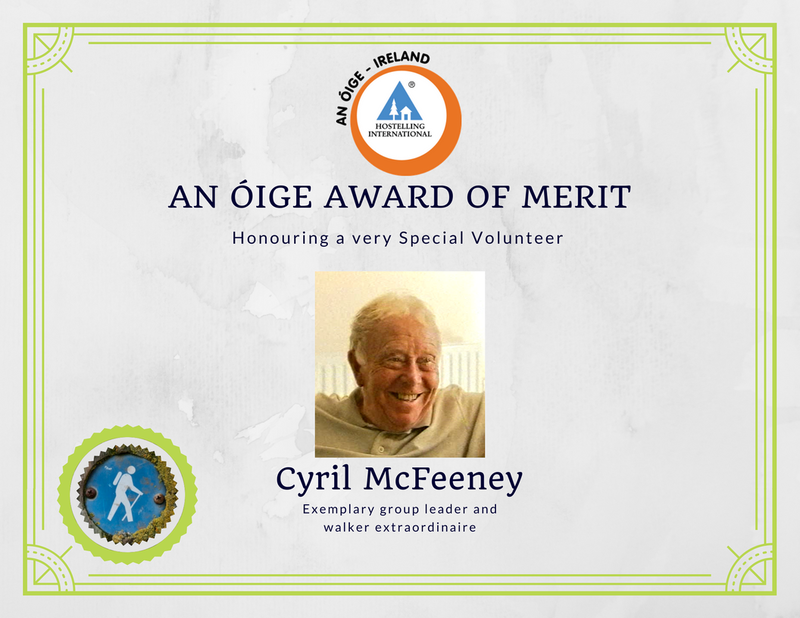 Cyril’s legacy to An Óige is an increase in the number of free volunteer guides who bring young people into the outdoors. Cyril was visibly surprised by the award but even more so when the President of An Óige, George King got up to share a few stories about Cyril’s camaraderie and old fashioned charm. One evening George recalled that he was in Glenmalure Youth Hostel when a group of hikers appeared that were being led by Cyril. Upon seeing the An Óige President, Cyril exclaimed “Good Lord, are you still alive?”. Finally Cyril himself got to speak. In typical humble fashion he brought attention to the rest of the volunteer guides that had accompanied him for years across the hills. Some of them started with him years ago and were still walking. He also gave credit to past An Óige Presidents and hostel staff that persuaded him to keep bringing young people on walks from the hostels. All in all, a good first Volunteer Award to recognise members who demonstrate the mission of An Óige. If you are interested in hearing more about our volunteer activities, please sign up to our newsletter.